Life has caught up with me and I have realized not much is left in my pantry to make a meal...that is when I start over and make a plan for the week with groceries. I try to find easy healthy recipes in addition to fail-proof ones. When I need something that I know will be delicious and can guarantee to add to my recipe book, I turn to Skinny Taste. 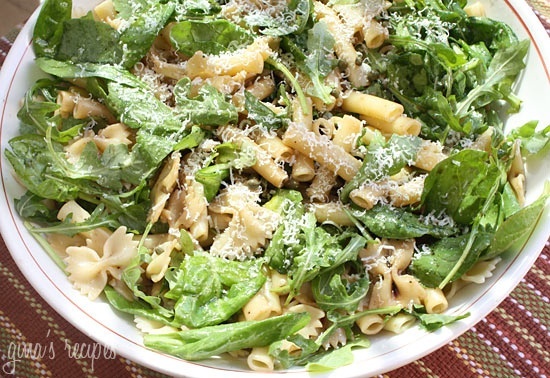 This summer pasta looks so good and fresh with the baby greens and would be a perfect light dinner (and lunch leftovers!) This one is going down in the recipe book for sure. Simple ingredients, fresh and light.